hi, i need to replace the thermostat housing on my 1600 mk2. mine is steel? so maybe an aftermarket part? the only ones i can find on e bay and from other suppliers are alloy. will this still fit ok and they are secondhand. Most of the housings available now are alloy. I recently put one on my Laser. The only thing I would say is that the thermostat was a bit loose with the fitting kit they supplied with the housing, I'd suggest you buy a new thermostat kit of a good make as well. 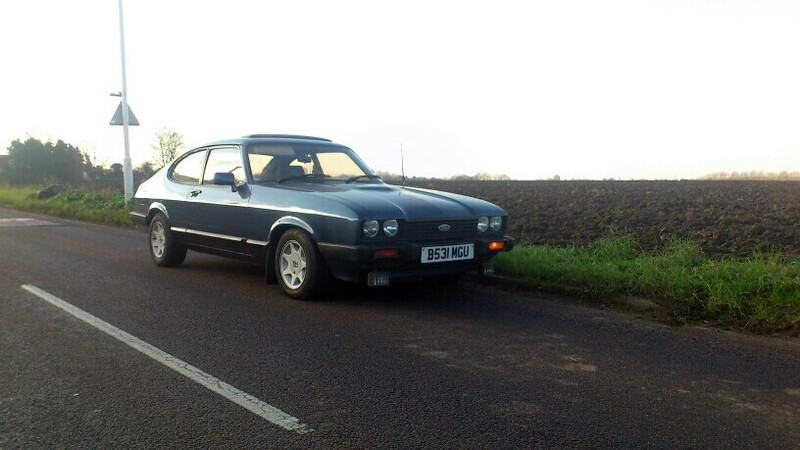 So went down mum & Dads today to start the Capri up and have a drive up and down the drive way . I checked the water and oil like normal and noticed some white powder type & damp stuff around the Thermostat housing so stated her up and she’s fine left her running for a good 40 mins and all was fine so will need to have new coolant and a new hose and housing . Should there be anything else I should change ? Jason, before you go throwing good money on new parts may I suggest that you loosen the coolant hose clip about a quarter of a turn and then re-tighten it. Clean the old crud off it then give it a while (ie a few weeks) and see if it comes back or is leaking. What anti-feeeze are you using? 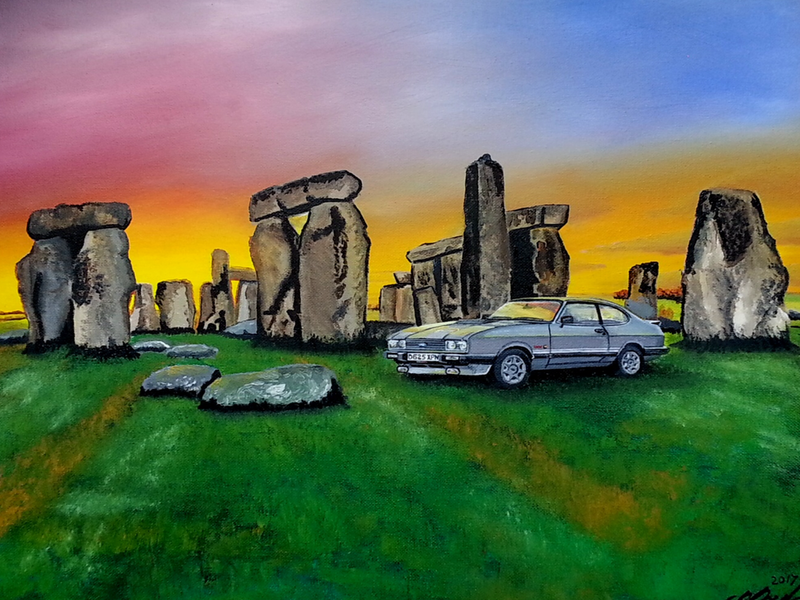 Capri's are best just on the old fashioned blue stuff at about 40% Anitfreeze /60 % water which is plenty strong enough for most temperatures seen in the UK and especially for your car which is garaged. This antifreeze mix should be drained and renewed every two years maximum. Wrong or overstrong antifreeze is the usual cause of the build ups that you mention. Cheers for that Paul yes Tickover noticed it last year and put a new jubilee clip on I just think the pipe has had its day as it could be the original . I will get them to flush out the coolent when they do the pipe . Just looked on line might go for them posh pipes but in black . Did not know if to do the water pump at the same time ? Jasonmarie wrote: Did not know if to do the water pump at the same time ? Why bother if yours is working fine? your right just thought with having new coolent and thermostat I might get the water pump done at the same time . When we was going down I did think perhaps I will tax her and give the old girl a run out but the weather looked like rain and also the salt on the roads . Jasonmarie wrote: the weather looked like rain and also the salt on the roads . So I booked mine in for its service and few jobs to be done and having a new thermostat housing , also was talking about the fuel lines and Gus said most are fine and nothing to worry about as looking my tank seems ok and it’s coated in Dentrol from new but Gus said he will have a check .